Being resilient is a skill you can learn and sharpen, and it's never too late to give it a try. The ability to bounce back from stress or adversity is important throughout life, especially in our older years. That's when we face many transitions, such as health problems; job, income, and home changes; the loss of loved ones; and isolation or separation from friends, grown children, and grandchildren. How we adjust to these changes helps determine what life will look like moving forward. "Many people are living longer, and we want to make the most of these years so people can thrive," says Laura Malloy, the Successful Aging program director at the Harvard-affiliated Benson-Henry Institute for Mind Body Medicine. Coping with stress in a positive way is known as resilience, and it has many health benefits. It's associated with longevity, lower rates of depression, and greater satisfaction with life. "There's a sense of control, and it helps people feel more positive in general," Malloy says. Likewise, a lack of resilience means that you may not handle stress well in difficult situations. Chronic stress is associated with harmful health consequences such as high blood pressure, a weakened immune system, anxiety, depression, insomnia, heartburn, indigestion, and heart disease. Some people are born resilient, like a child who falls off a bike and hops right back on to pedal away. If that's not you, take heart: resilience is a skill that you can learn and improve upon every day. You may want to take a class on resilience building, often offered at local hospitals. An example is the Benson-Henry Institute's Stress Management and Resiliency Training (SMART) Program. Or try any of the following ideas to get better at bouncing back. Meditate. 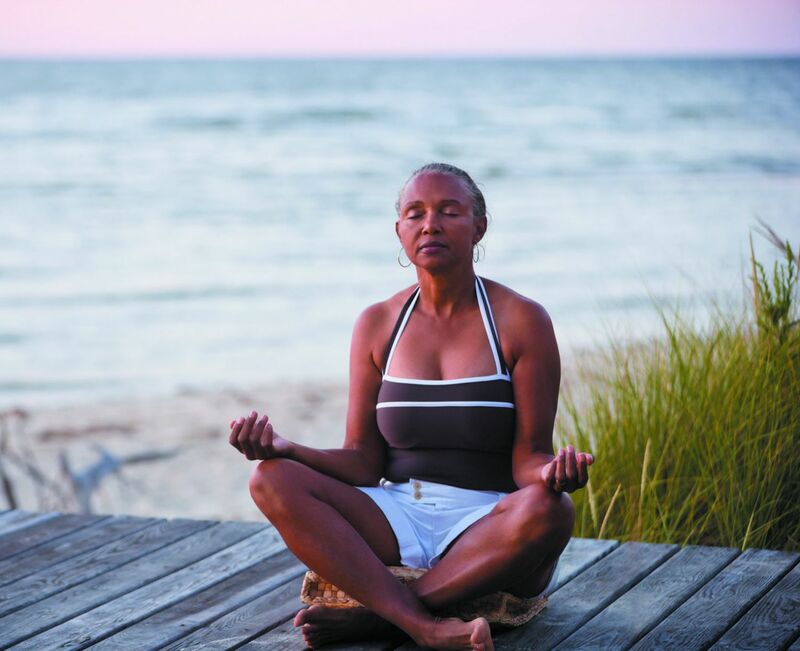 Practicing a meditation technique counters stress by eliciting the relaxation response, which helps lower blood pressure, heart rate, breathing rate, oxygen consumption, and stress hormones. Elicit the response with yoga, tai chi, meditation, guided imagery, or deep breathing exercises. Reframe your situation. See the upside rather than the downside of a predicament. For example, if you're sad that your grown child isn't calling as often as you'd like, try instead to be proud and happy that you helped your child become an independent adult. Lean on your social network. Friends and family are important stress buffers. "You can cope better if you have people you can share your stressors with, or people to help you," Malloy says. Cultivate positive thinking. When you're stressed, it's easy to think about what's wrong. "We'll have people focus on three things that are going well, or three things they're grateful for each day," Malloy says. "It could be as simple as enjoying a cup of coffee or having a nice chat on the phone." Laugh more. "Laughing can decrease stress hormones and boost the immune system," Malloy says. Try watching a funny movie, reading a funny book, or even forcing yourself to laugh. "Laughter is contagious, and it's not always dependent on humor," Malloy says. Be optimistic. "Think of a positive outcome, not a negative one," says Malloy. "Consider an upcoming situation, and visualize the positive qualities you want to bring to it." Stress takes a physical and emotional toll on the body. By boosting your overall health, you'll have more strength to take on stressful situations when they come along. Three ways to do that are exercising, eating right, and getting enough sleep. Aerobic exercise helps counter stress by boosting the body's natural feel-good chemicals, using up stress hormones, protecting brain cells, and lowering blood pressure. When you start to feel stressed, go for a brisk walk outside or on a treadmill. Even better, aim for 150 minutes per week of moderate-intensity activity. A diet consisting of healthy whole foods — vegetables, fruits, nuts, whole grains, and fish — may also fight depression compared to diets filled with sugary, processed, or fried foods. Being sleep deprived can reduce immune function and lead to difficulties with memory, attention, decision making, and learning new information. We're better able to cope with stress when we're rested. Aim for seven to eight hours of sleep per night. Work on one or several of these resilience-boosting skills every day. The more you practice them, the better you'll become at dealing with stress.